It was announced today that Grishin Robotics was investing $250,000 into Y Combinator startup Double Robotics. Double Robotics have already sold out their first order of affordable telepresence robots and look poised to meet the increased demand in high tech low cost consumer robotics with this investment (see previous post “Double Robotics – Crossing the Chasm?“). 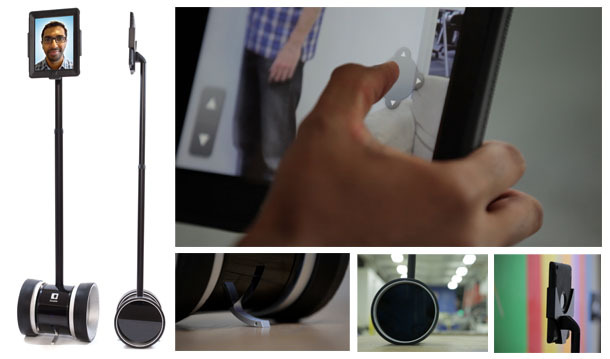 Double Robotics, a recent graduate from Y Combinator (http://ycombinator.com), builds telepresence robots, characterized by ground-breaking price ($2,499, can be pre-ordered now for $1,999), great design, light weight and high level of simplicity — it works right “out of box” and uses iPad as a platform. Double Robotics have just moved into their own premises in Mountain View, and it’s encouraging to see that Silicon Valley startup culture is producing such good returns for robotics, both for robotics professionals and for the hopes of robot companies looking for investors. The time is ripe for consumer oriented robots that are more than toys. Sophisticated robotics have become affordable – largely by leveraging smartphone and tablet technology and internet connectivity. This aligns with Dmitry Grishin’s background as cofounder of mail.Ru, the giant Russian mail and media service. It will be interesting to see if Grishin stays in the comfort zone of communication robotics in the future, or steps out into the world of more task oriented robotics.